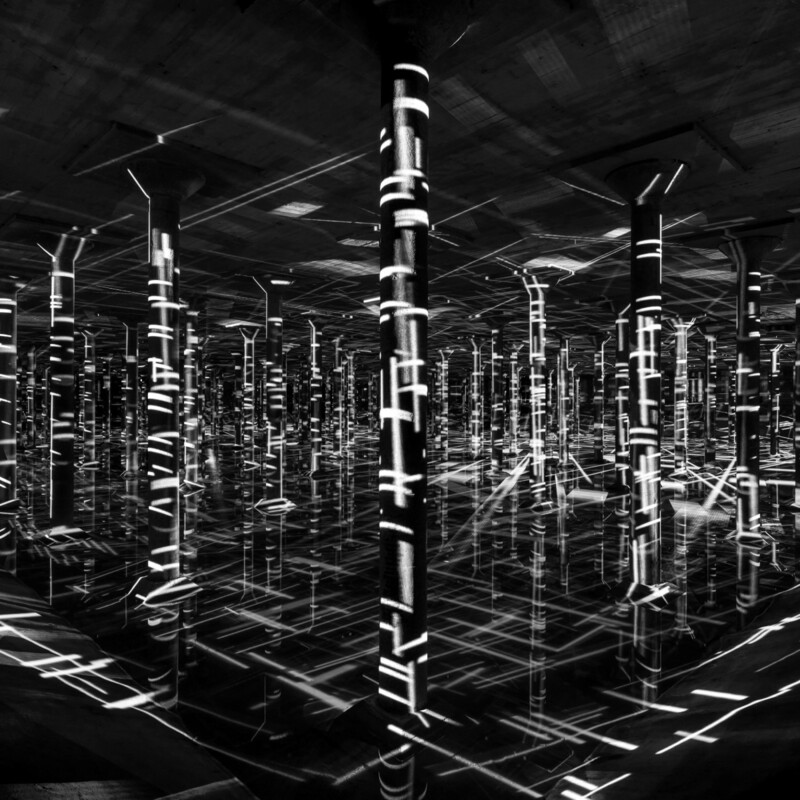 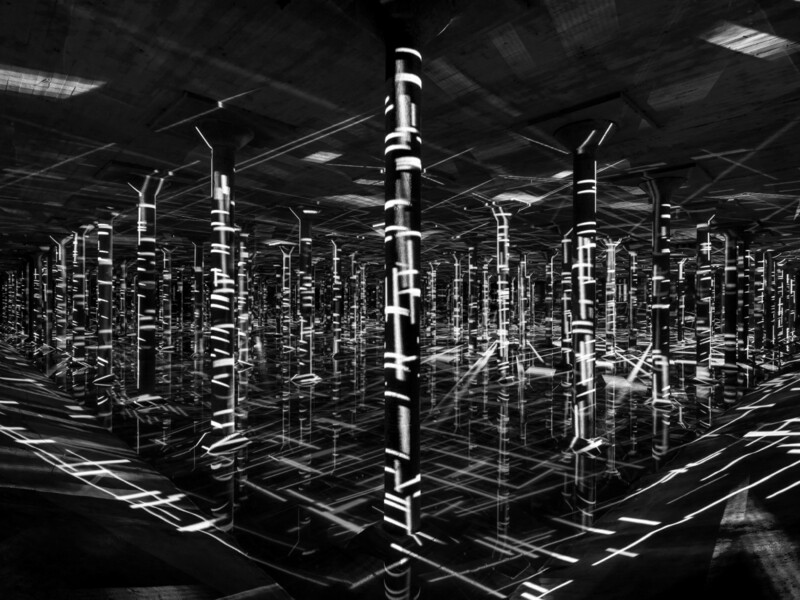 A video art installation from Magdalena Fernández is on display in the CIstern. 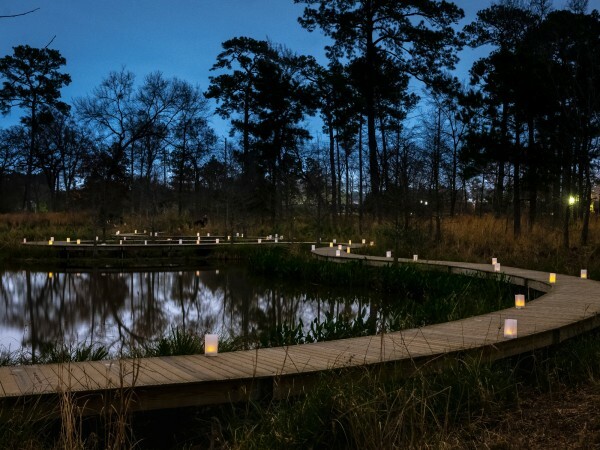 Photo by Peter Molick; Courtesy of the artist and Sicardi Gallery. 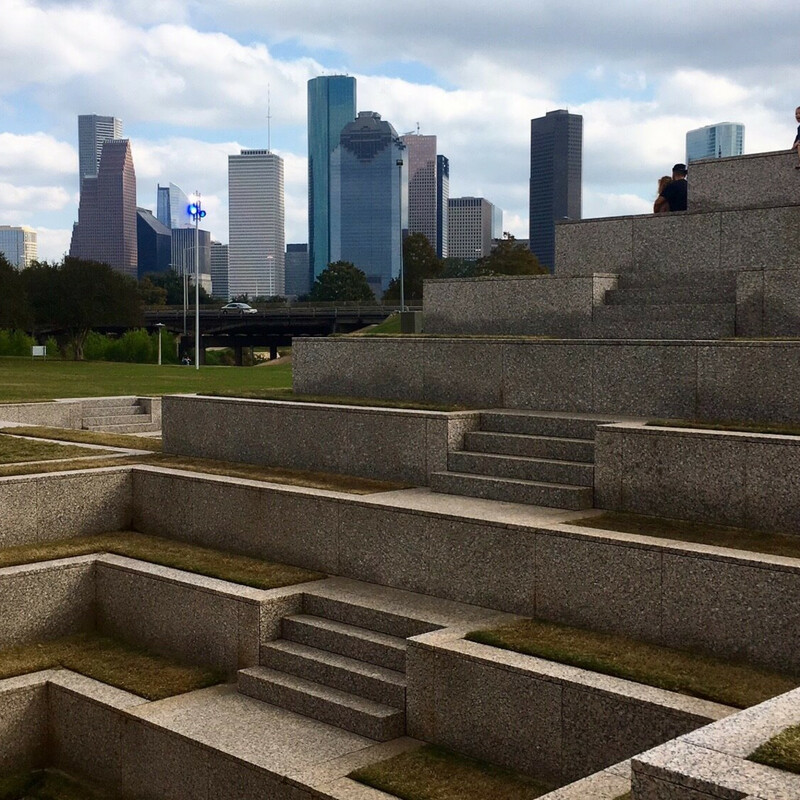 Finding places to hike around Houston continues to be a top interest for CultureMap readers, particularly at the beginning of the year, when the weather is cool and our resolution to exercise more kicks into high gear. 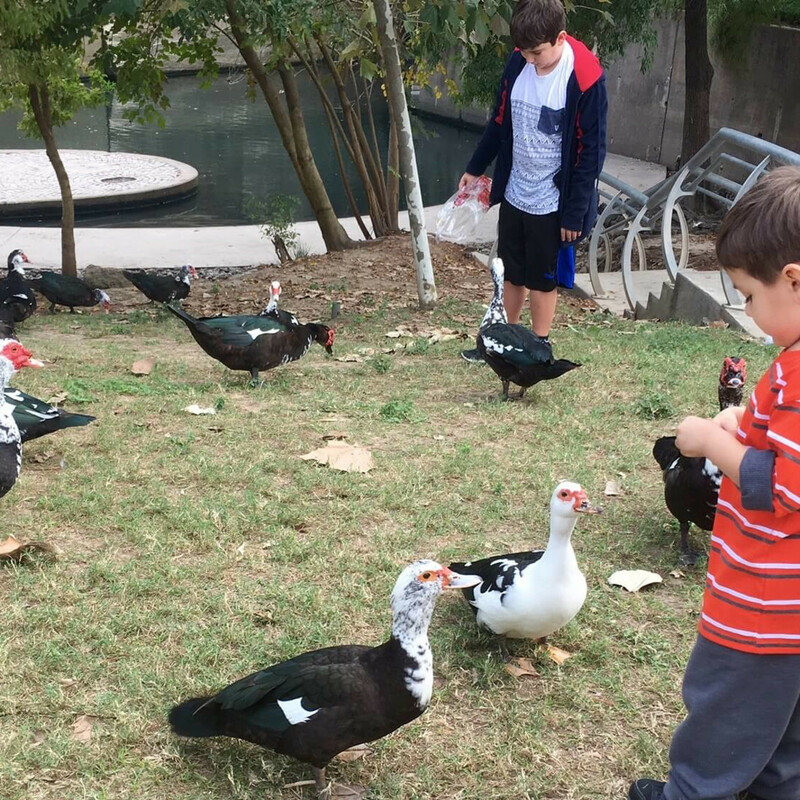 But rather than travel to outlying areas, there's a wonderful park right in the center of the city, with hike and bike trails, a picnic pavilion, a magnificent underground cistern, a massive dog park and other places to escape. 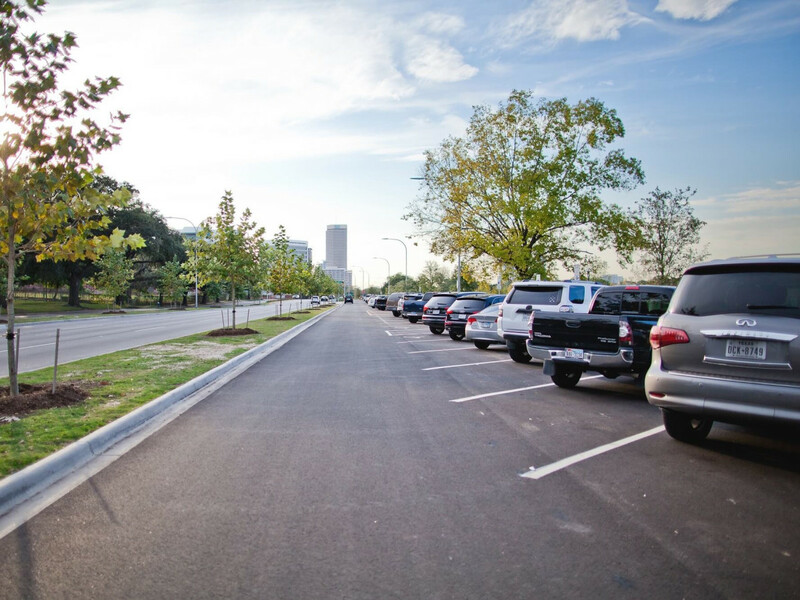 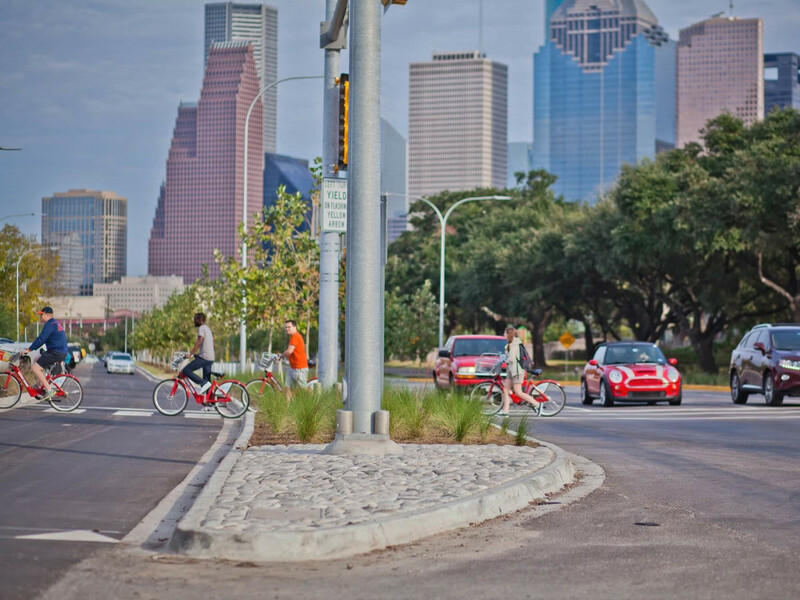 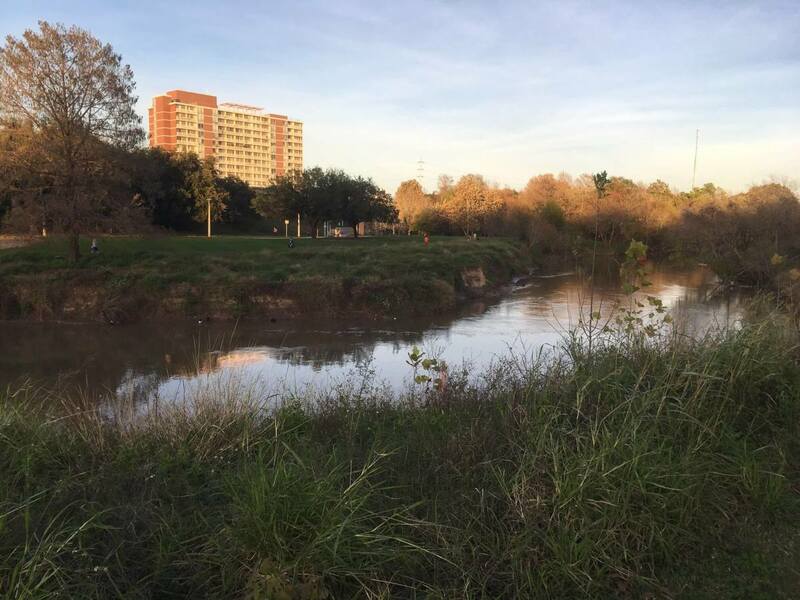 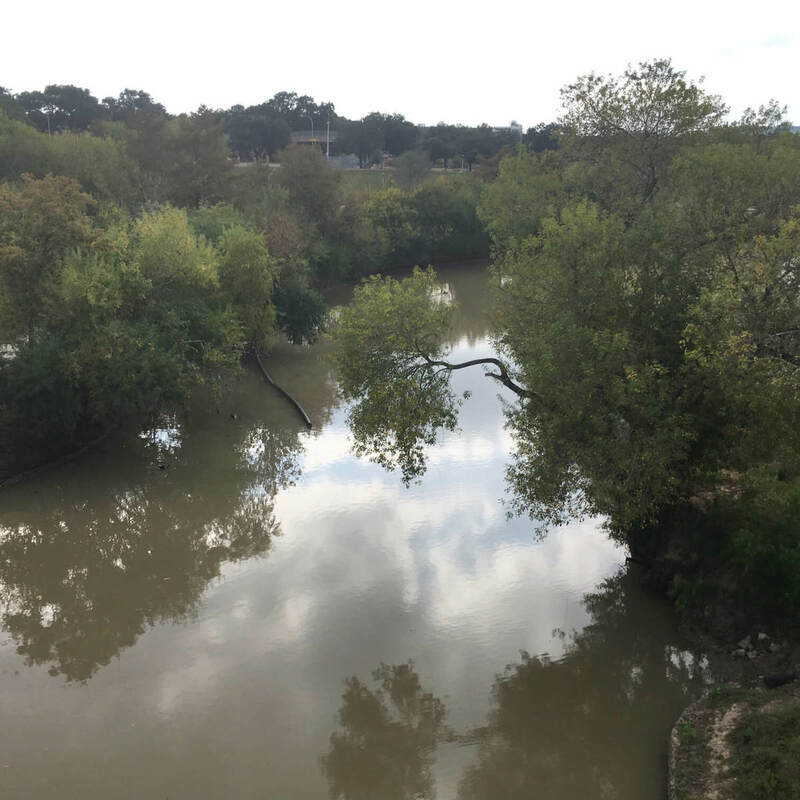 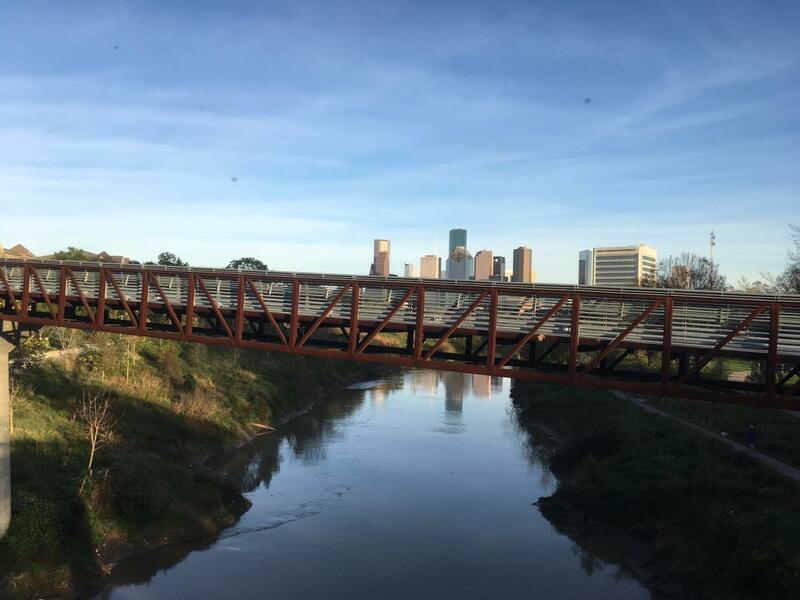 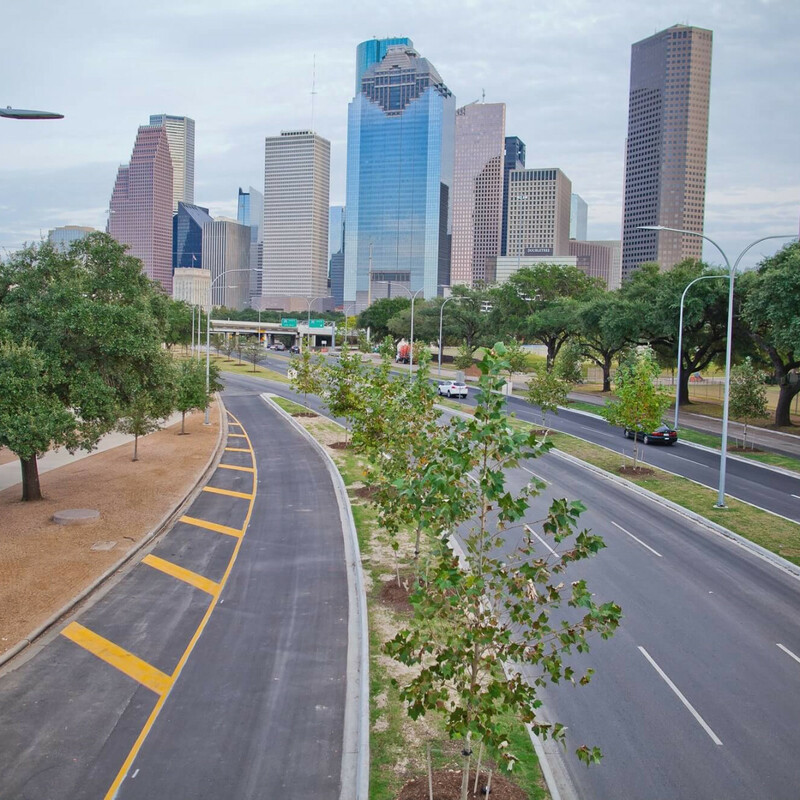 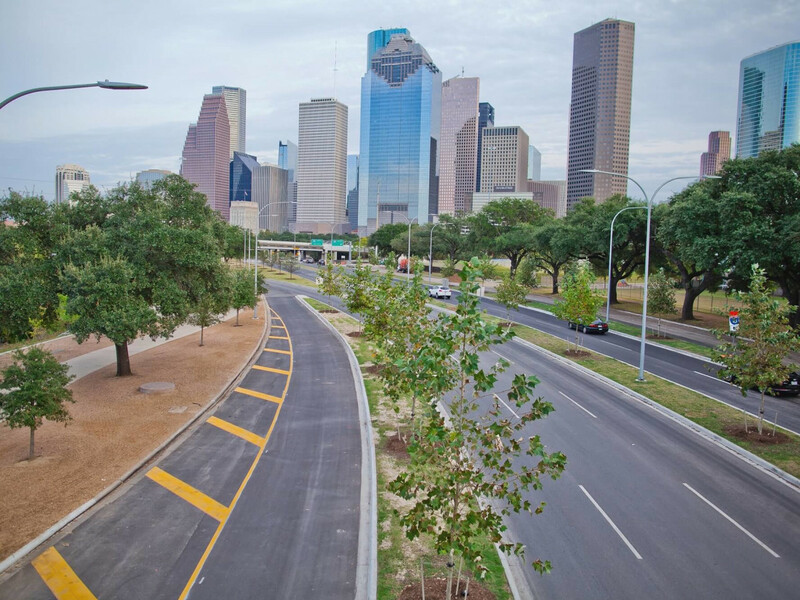 A multi-million dollar renovation of Buffalo Bayou Park, wedged between Alley Parkway and Memorial Drive from downtown Houston to Shepherd Drive, offers one of the best urban parks in the nation, with more than 160 acres of enhanced hike and bike trails offering spectacular views of the downtown skyline — and so much more. 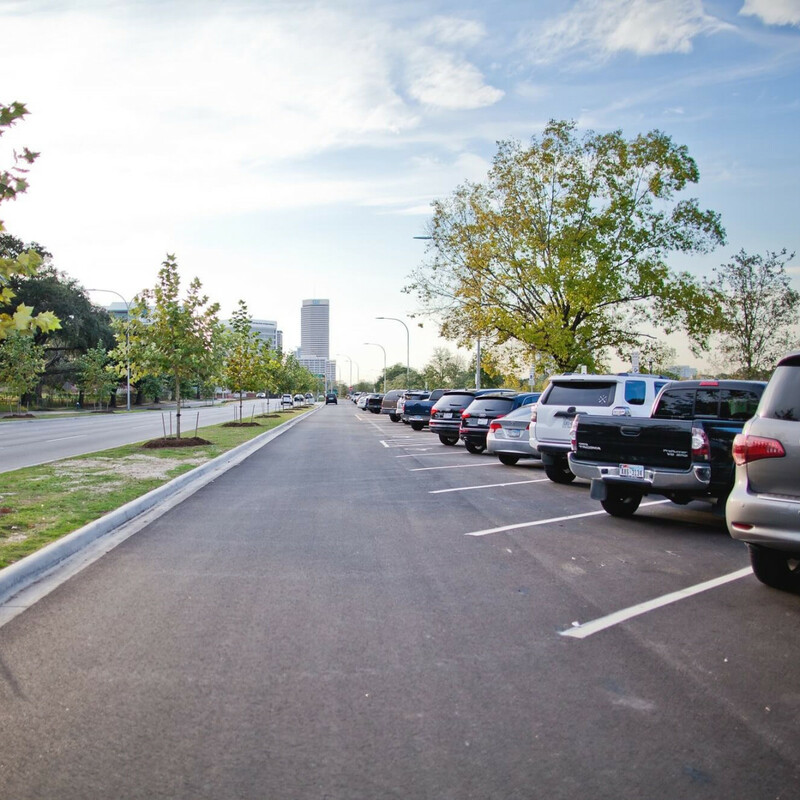 There is also a small free parking lot near the Wortham Insurance Visitor Center on Sabine, where you can obtain a map of the park (the center is open Wednesdays through Sundays from 8 am to 7 pm) and start exploring. 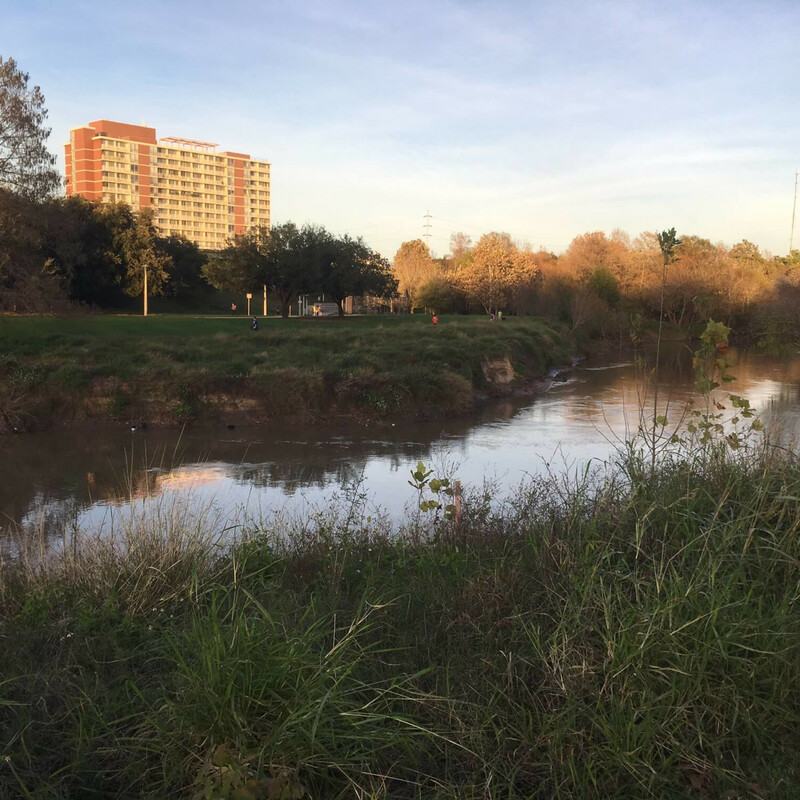 That's what we did on a recent weekday afternoon, when the park was filled with joggers, walkers, bikers and families at play. 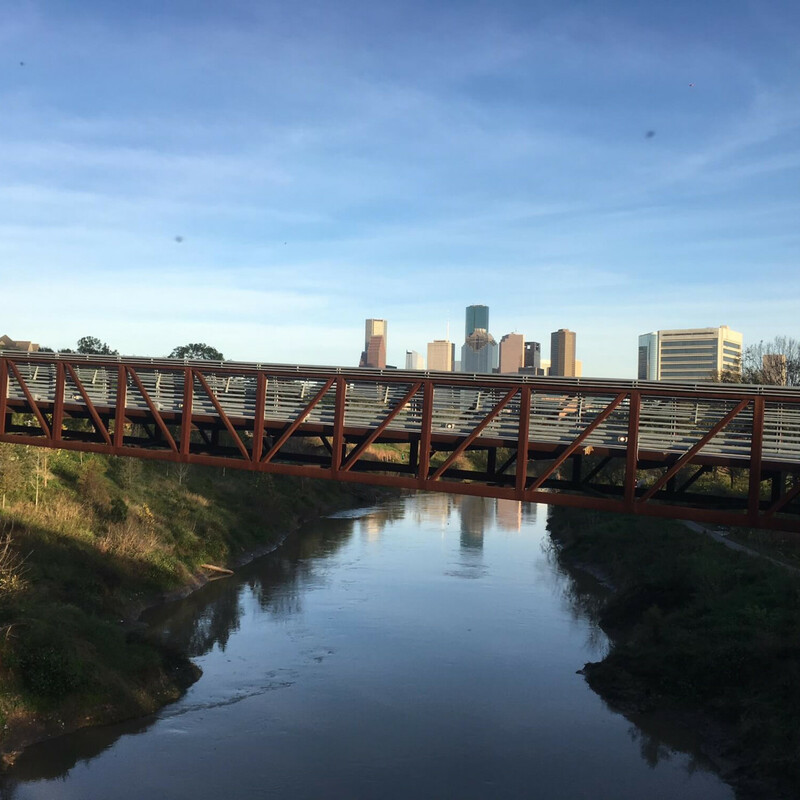 Among the most welcomed improvements are two pedestrian bridges that allow parkgoers to cross over Buffalo Bayou at key points. 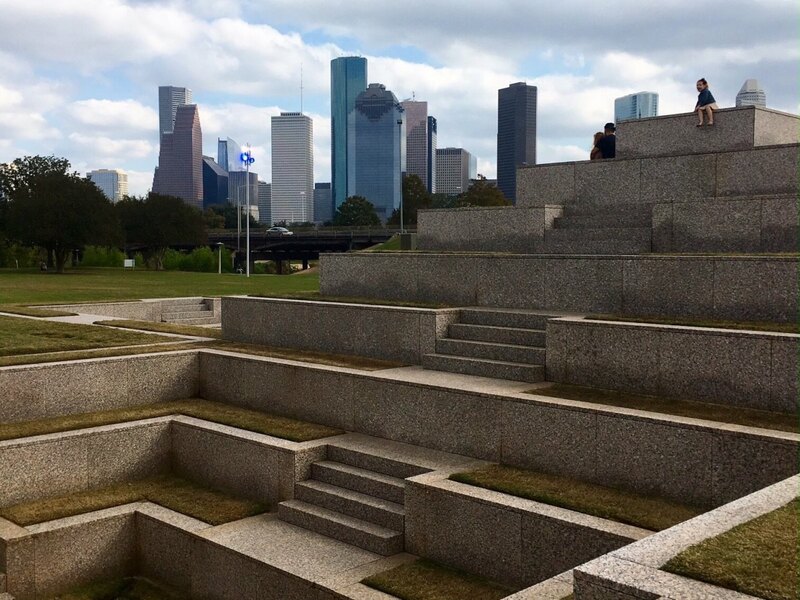 For years, Houstonians could only admire Jose Morales' magnificent Police Officer Memorial from afar as it was virtually impossible to access it. 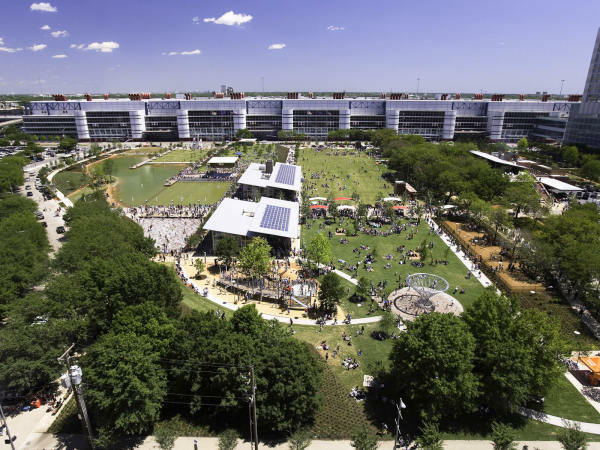 But now a striking pedestrian bridge of ribboned steel allows up-close views of the sculpture, which resembles a Mayan temple and it has become one of the park's most distinctive and popular attractions. 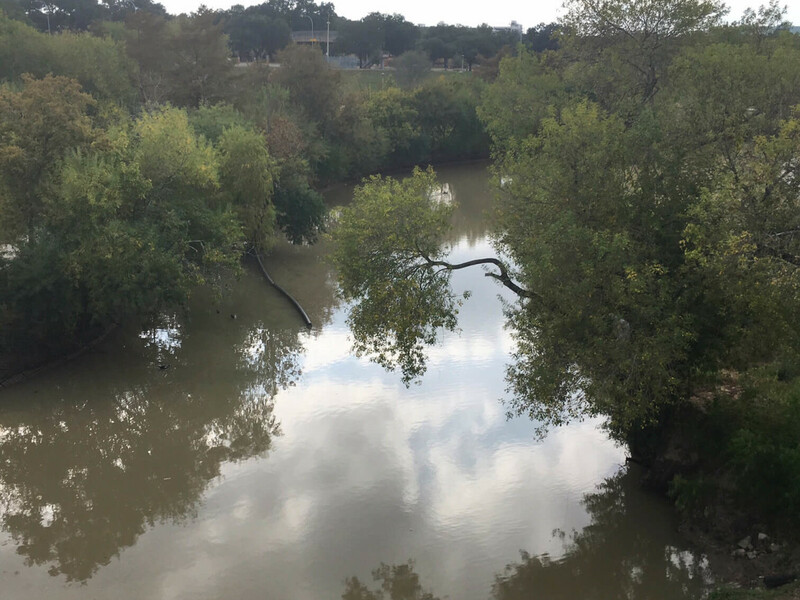 For the adverturesome, there are also opportunities to rent boats or kayaks, with guided tours or the opportunity to head out on your own. 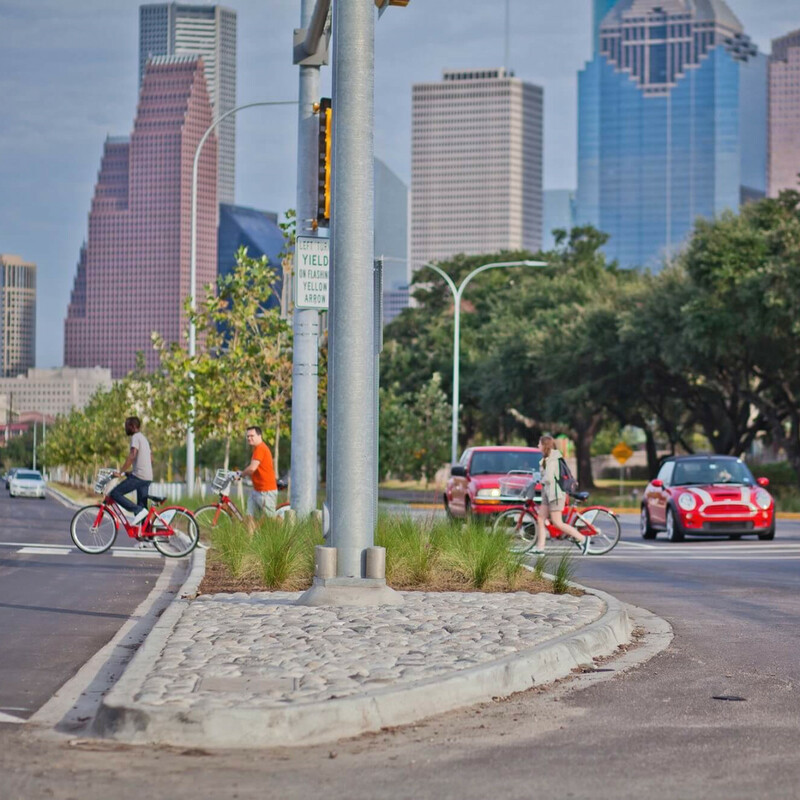 B-cycle stations are also located around the park, so a bike can be rented for a hour or two for those who want to explore the park through downtown and beyond. 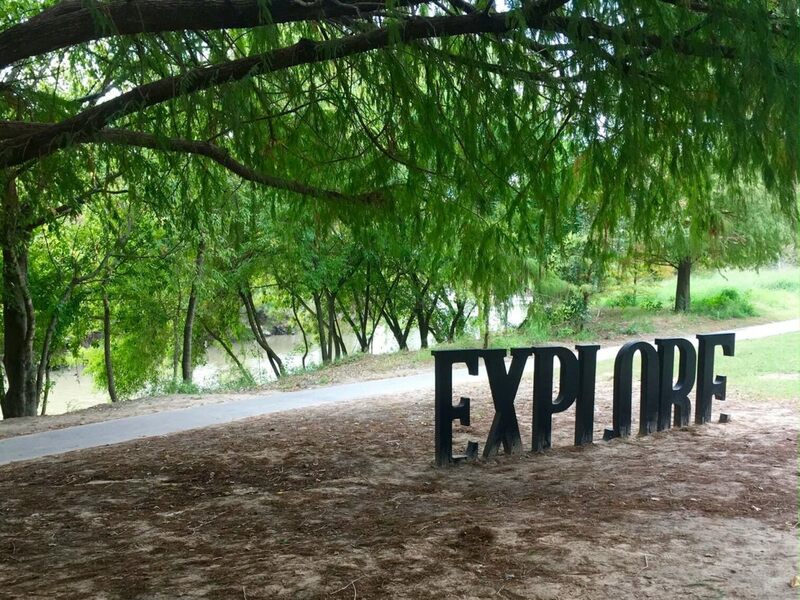 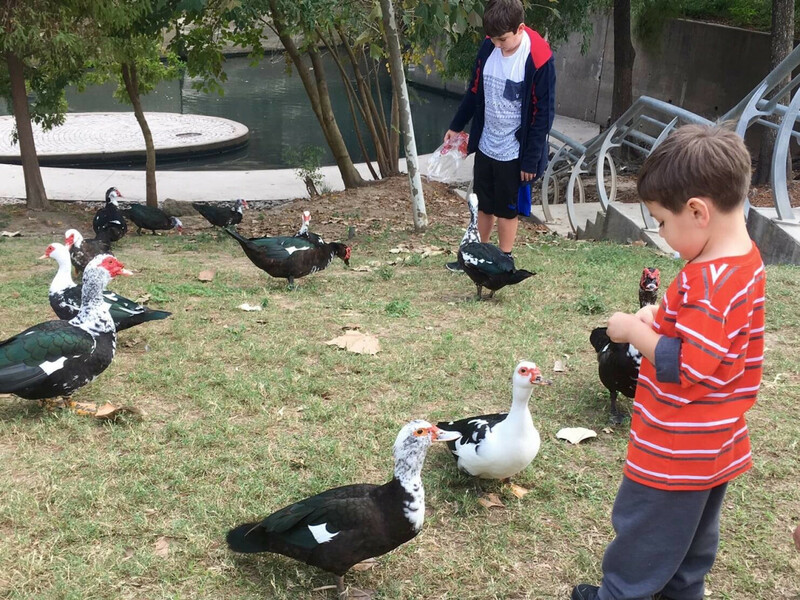 While these and other attractions make the park a magnet for visitors, it can be appreciated on its own as a place to wander amid a setting that is so pristine and natural, you forget you're in the middle of the the nation's fourth largest city. 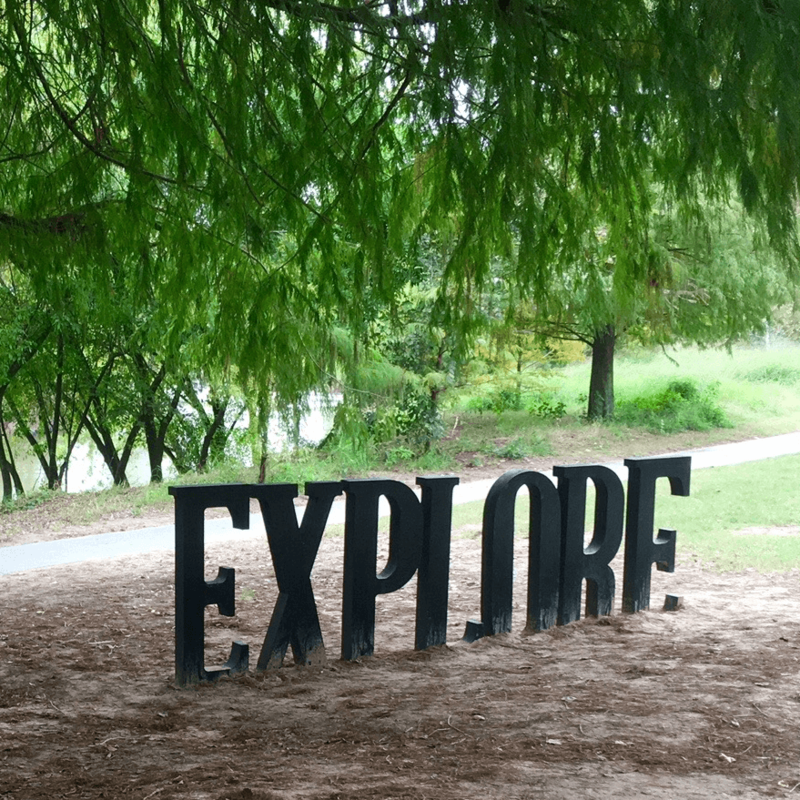 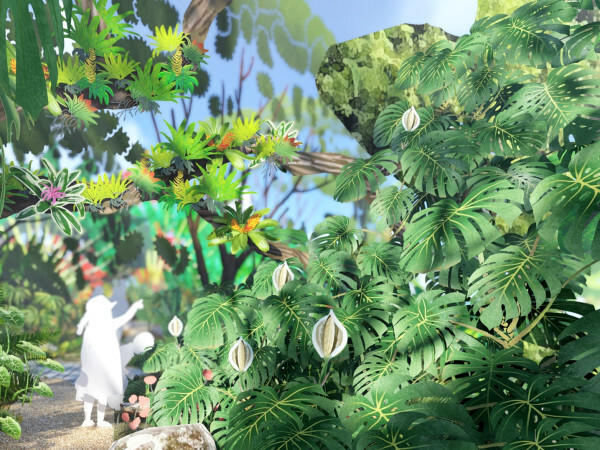 On days when it seems imperative to get away from the stresses of urban life, a walk in the park can do wonders.